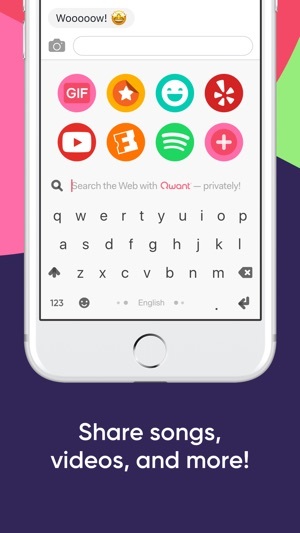 Fleksy is the most fun and customizable way to find and share anything from the web, and officially the fastest keyboard in the world. 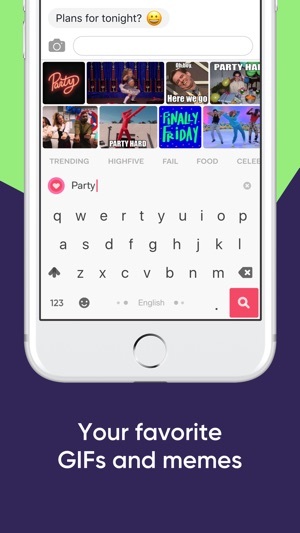 Search and send restaurants recommendations, music, videos, GIFs & Stickers and customize your keyboard with powerful extensions & colorful themes. 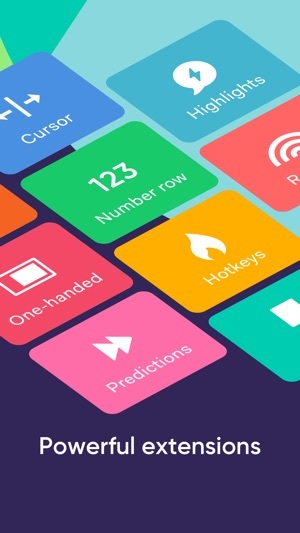 Try out Fleksy Extensions like: Hotkeys, Number Row, Cursor Control, One-Handed Typing, Rainbow Key Pops and more. 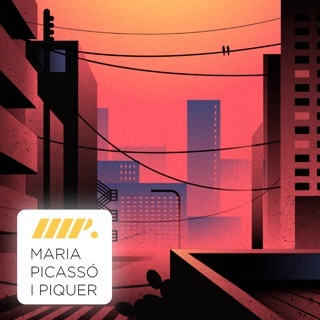 Looking for this song you’re fan of? Or a place to meet with friends? No need to leave your chat to search - use fleksyapps to find information while chatting and share instantly! It’s so fast, your eyes won’t believe it! 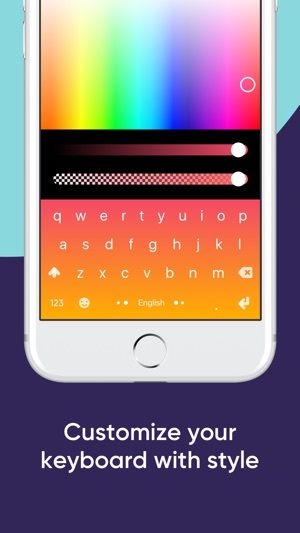 Use Fleksy Extensions to customize your keyboard with incredibly powerful features. Control your cursor from the spacebar with Cursor Control Extension. One-Handed Typing Extension for iPhone 8 & 8+. 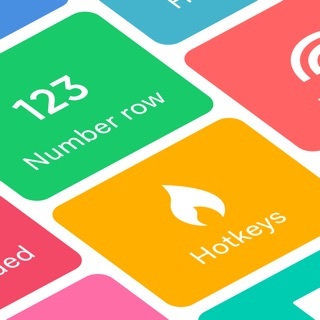 Customize Fleksy with an easy-access Number Row Extension or keys of your choice. Fleksy gives you 3 slots FREE, so you can mix, match, or try all 7! THE FASTEST KEYBOARD: SAVE TIME! 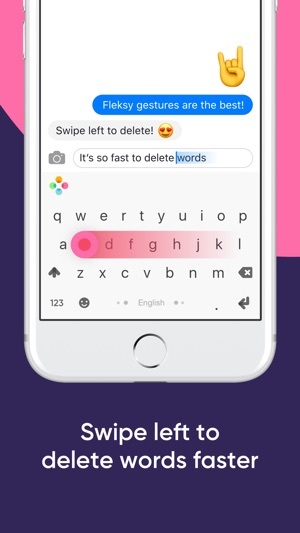 Fleksy uses next-generation autocorrect so you can type accurately without even looking, and save time with its record-setting speed using intuitive gestures! Type faster and save more time for the things you love. With just a swipe of your finger, easily delete words, add punctuation, space, , and more. Easy. Intuitive. Fast. Show your style with 51 free and purchasable colorful theme designs. 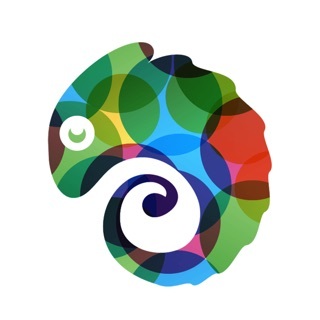 Check out favorites like the Chameleon Theme that matches the color of the app you are in. Express yourself with GIFs, Memes, Stickers, over 800 Emojis, 50+ themes, and Rainbow Key Pops. 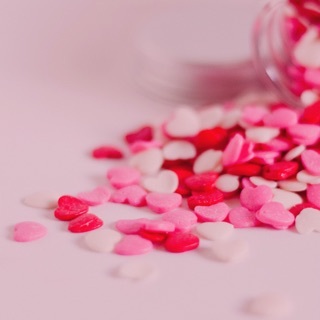 Then, earn fun Badges and rewards for using Fleksy! Who said typing had to be boring? • The only keyboard with custom Extensions. No keyboard is more customizable. • The only keyboard that holds a world record for typing speed. No keyboard is faster. 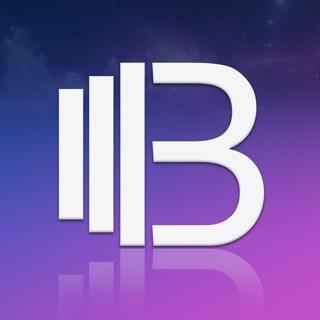 • The most beautiful design, custom themes, and sizes. No keyboard is more beautiful. • Over 6 million downloads… and counting! The warning message that says Fleksy may be able to collect "transmit anything you type, including things you have previously typed with this keyboard(...), which could include sensitive information such as your credit card number or street address” is part of the iOS operating system that appears when any third-party keyboard is enabled. Note - Some premium features require in-app purchase. If you enjoy Fleksy Keyboard, leave us a nice review. We love it! Ho ho ho! Fleksy is getting into the holiday spirit. Discover three NEW themes designed around Christmas and winter! Time to get your keyboard a new winter coat! I'm in love with this keyboard, which is too bad for me because parts of it are awful. There are things that are great; I love the look and feel of it, doing things with gestures us great, although some of it can be tricky. When in landscape mode all punctuation appears on screen, and there's no reason to be without that. Even in portrait, punctuation is easily available by gesture. That solves a lack that made me seek a third party keyboard. There are little glitches, such as when I click on a word suggestion and then on some punctuation, the punctuation should go back one space to appear right after the word, rather than me having to go back one. Also, words don't appear as suggestions until I start to type. But then what does come often doesn't make any sense, as if predictions aren't based on how language is used. And the autocorrect can be as bad; clumsily enter broccoli and it gives me "bro chilli" which I'm quite certain nobody would ever say. Even things as simple as forgetting to put a space between words is unreliable. All in all, I love it well enough to pay for some cosmetic features. If they just improve a couple aspects I'll come back with five stars. And now they just updated it! Some things are better: WhatsApp doesn't immediately come up as a suggestion, but I still have to really focus to write broccoli. This keyboard is so fast and accurate it's crazy. One of the main things I really like about it is the gestures; you simply swipe left to delete a word, swipe right to press space, and swipe up/down after typing a word to quickly switch between autocorrections. Also it's super customizable, you can add a comma button to the the bottom, or you can change the size, or you can get rid of the space bar entirely because of the swipe right gesture. 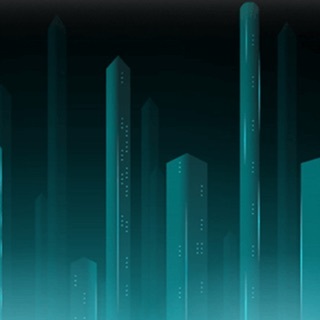 There's tons of theme options, and you can make your own pretty easily if you'd like. Once you get used to everything Fleksy has to offer, typing will become a breeze and you'll constantly be swiping all over the place on other phone keyboards. Hadn't found a keyboard that made me want to switch away from the default, but this might be it. 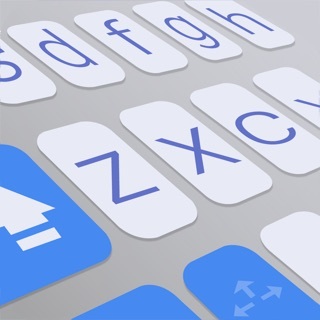 Fleksy has been around for years now and has always been the best iOS keyboard application. The auto correction works similar to the stock keyboard but better and seems to fix errors better on the fly. Development was abandoned a couple of years ago by the original team and then the new team Thingthing came and picked back up on development last year. There have not been any huge features added yet, as the focus has been monetization of the keyboard, but they have made several stability fixes which can definitely be seen. Hoping to see some new function coming with the new year with the new team. Regardless, the keyboard Fleksy is now is still 100% better than the stock keyboard and looks better as well. 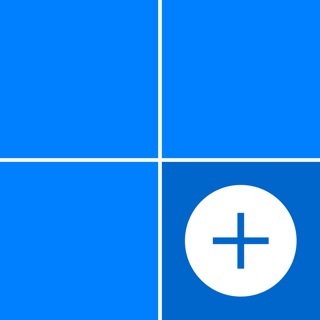 Adapts its color to match current app!